- Dual tip fits iPhone and android devices. - Back up your Contacts,Music, Pictures, Videos and Files, to micro sd card in the usb device. - Transfer Contacts,Music, Pictures, Videos and Files from device to your PC. - Transfer files from PC to your device. 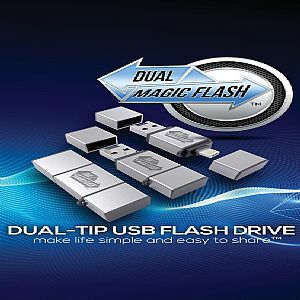 - USB 3.0 and includes a 16 GIG, class 10 micro sd card (accepts micro SD card to up 256 GB). - Leave USB plugged in and record videos or pictures direct to USB.